The Provincial Priory of Oxfordshire, Berkshire and Buckinghamshire was first Constituted as the Province of Oxfordshire in 1873, Berkshire was added 1928 and Buckinghamshire was added 1964. The Province, encompassing the three counties of Oxfordshire, Berkshire and Buckinghamshire, now consists of seventeen Preceptories and their meeting places extending from Bletchley in the North, to Newbury in the South, and Chipping Norton in the West to Slough in the East. The Annual Chapter of Provincial Priory meets each year on the third Monday in September at the Berkshire Masonic Centre at Sindlesham. The Provincial Priory of Malta is held on the fourth Monday in November, currently at the Berkshire Masonic Centre at Sindlesham. 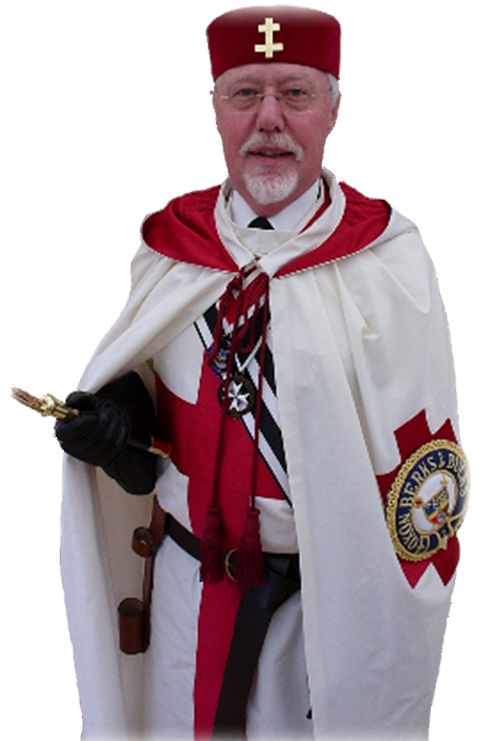 The Provincial Website will give you details of our Provincial Preceptories, a short History of the original Knights Templar, the modern Masonic Knight Templars and of the Provincial Officers and Structure. Whether you are a member or visitor, we hope you will find our webpage helpful and of interest. We will be updating and adding to it as required so please check the site again in the future.